IT Teams. Growing companies moving away from using emails for support, who want a solution to be implemented quickly and who want to consolidate systems and use a single platform across IT. 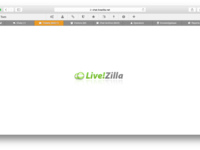 LiveZilla is for every company that wants to effectively and easily communicate with its customers. Also companies can keep sensitive data within their own hands because it runs on dedicated servers.